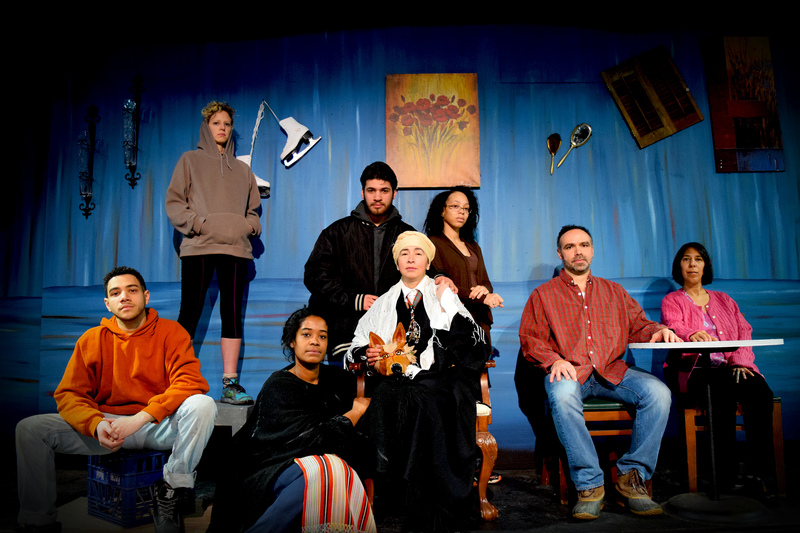 To tell the stories of Southwest Detroit’s diverse Latino communities, Matrix Theatre Company undertook a year-long collaborative theatre project. 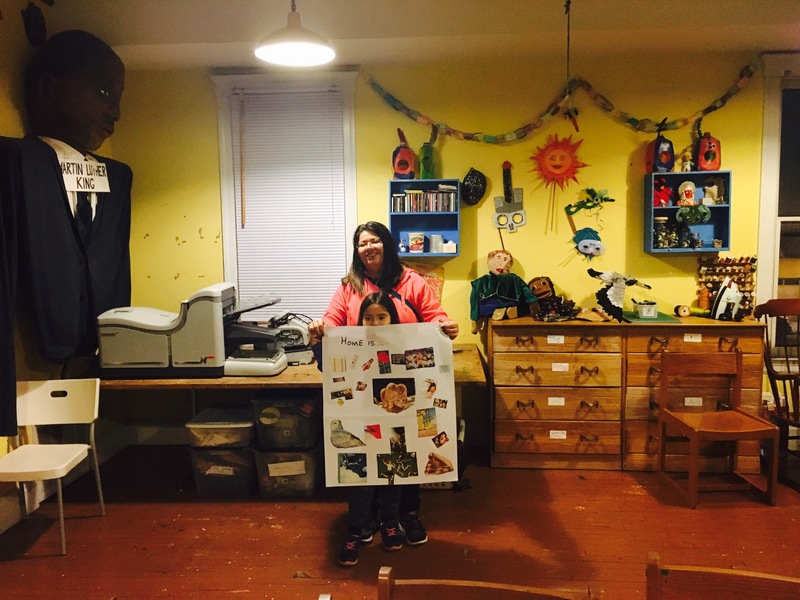 Members of the project set up a process for residents of the neighborhood, from youth to adults, to share their voices and to affirm that their stories are an integral part of what makes the community thrive and grow. 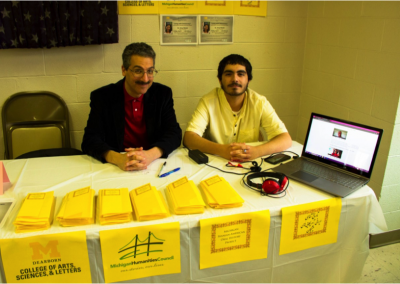 These stories and residents then informed the creation of a bilingual script for a play based on the themes that emerged from participants’ stories. 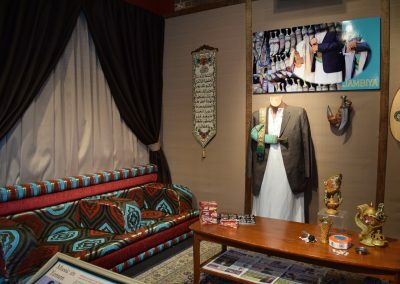 The result was a series of interviews, videos, and theatrical performances that represented the history and cultural experiences of residents. 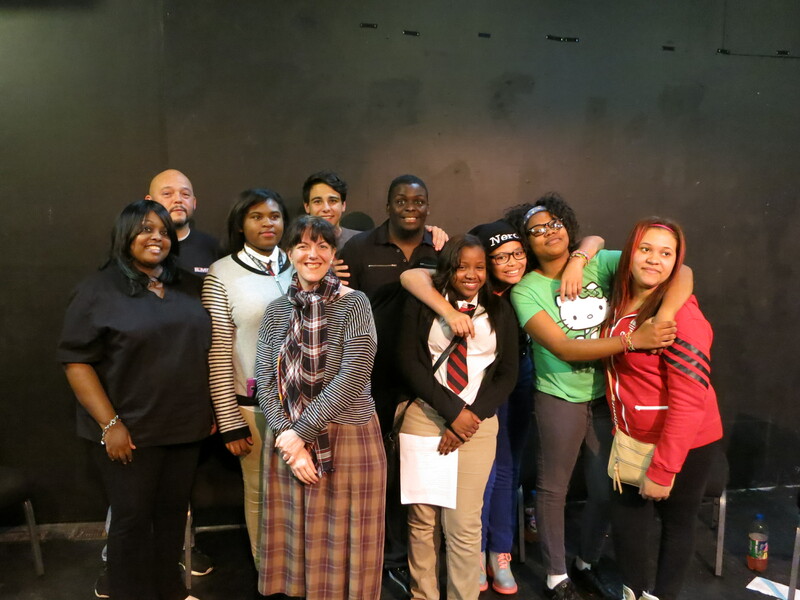 Caridad with participants in the playwriting workshop. 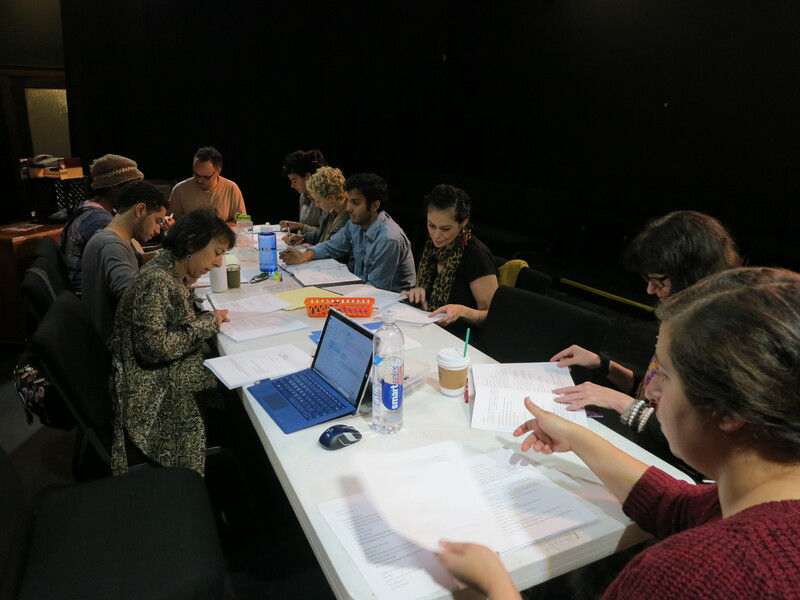 The actors pose during a rehearsal. Participants work to distill stories from residents into a script. A participant in one of the “Jambalaya” events holds up their storyboard. 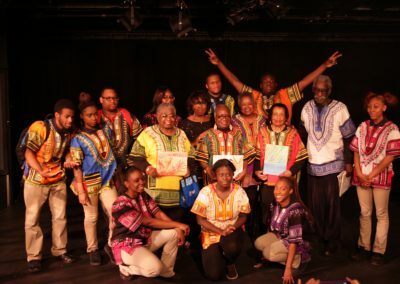 A recording of one of Matrix Theatre Company’s “Jambalaya” events, where participants share stories and experiences. A recording of one of Matrix Theatre Company’s “Jambalayas,” where participants share stories and experiences.